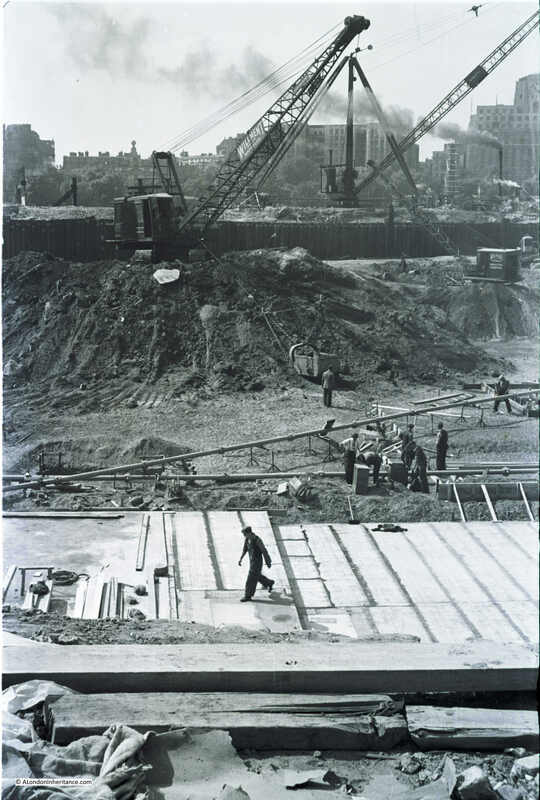 Having explored the history of the South Bank in yesterday’s post, today it is time to take a walk along Belvedere Road to see the remains of buildings dating back to the start of the 19th century, the clearance ready for construction of the Festival of Britain and the foundations of the Royal Festival Hall. 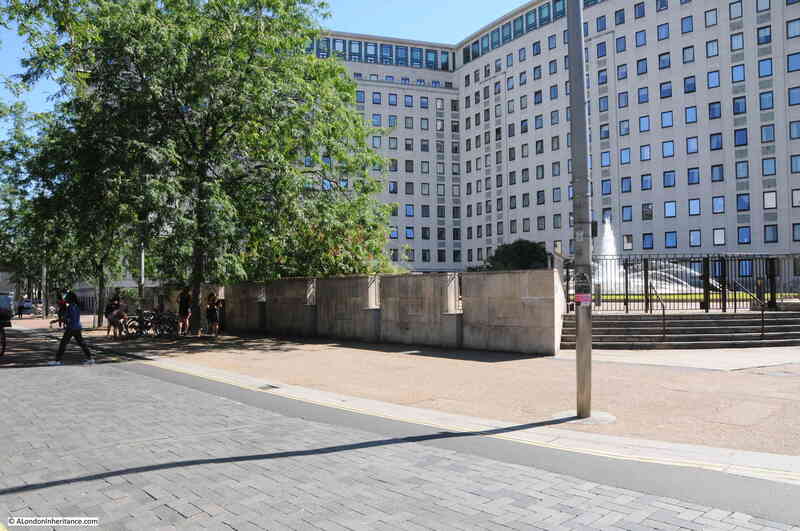 We will start from where Waterloo Bridge crosses Belvedere Road, drop down to Belvedere Road and then walk along Belvedere Road to County Hall. 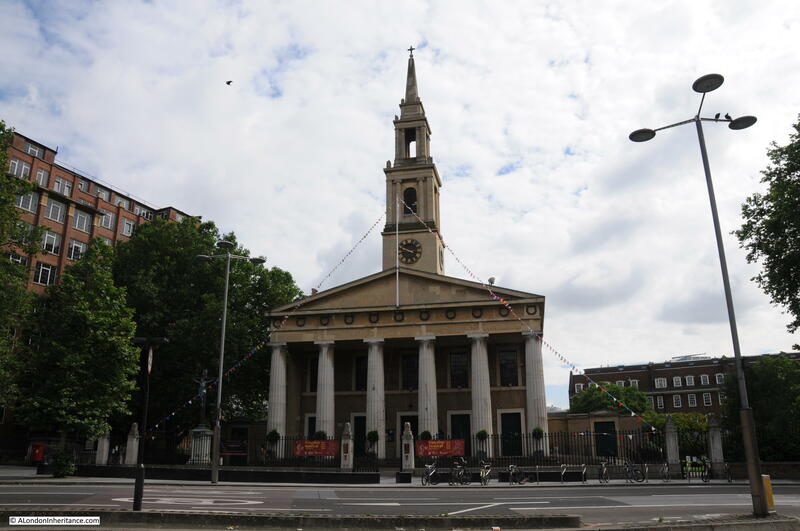 My father visited this area a number of times between 1947 and 1951, first to photo the buildings as they were, then the area as it was cleared and finally as the construction of the Royal Festival Hall was underway. This post brings together photos distributed among a number of different posts over the last couple of years along with some new photos I have recently scanned. 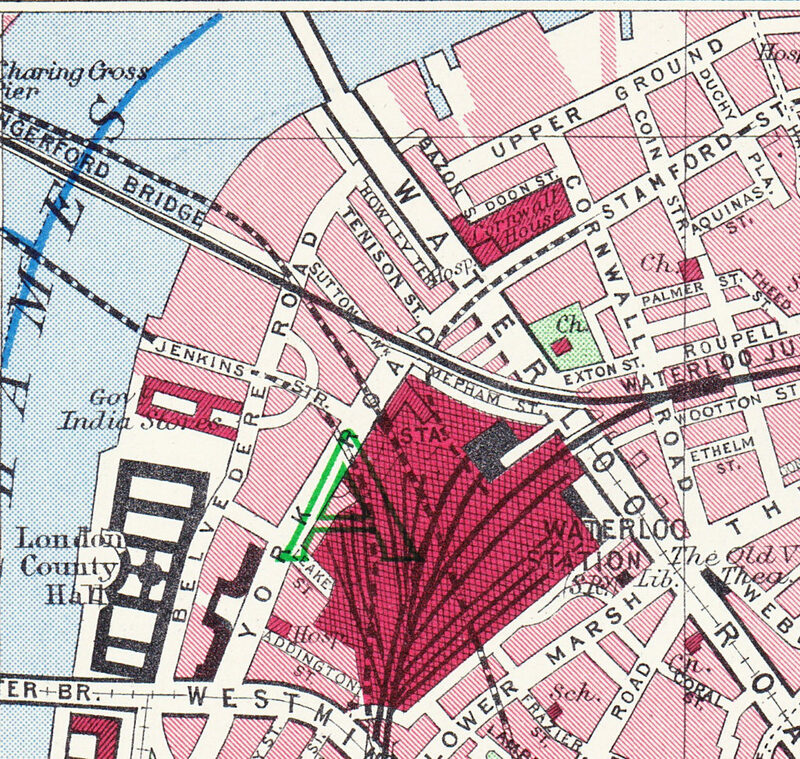 The map below is the same extract from the 1895 Ordnance Survey Map covering the area between Hungerford and Waterloo Bridges as in yesterday’s post. 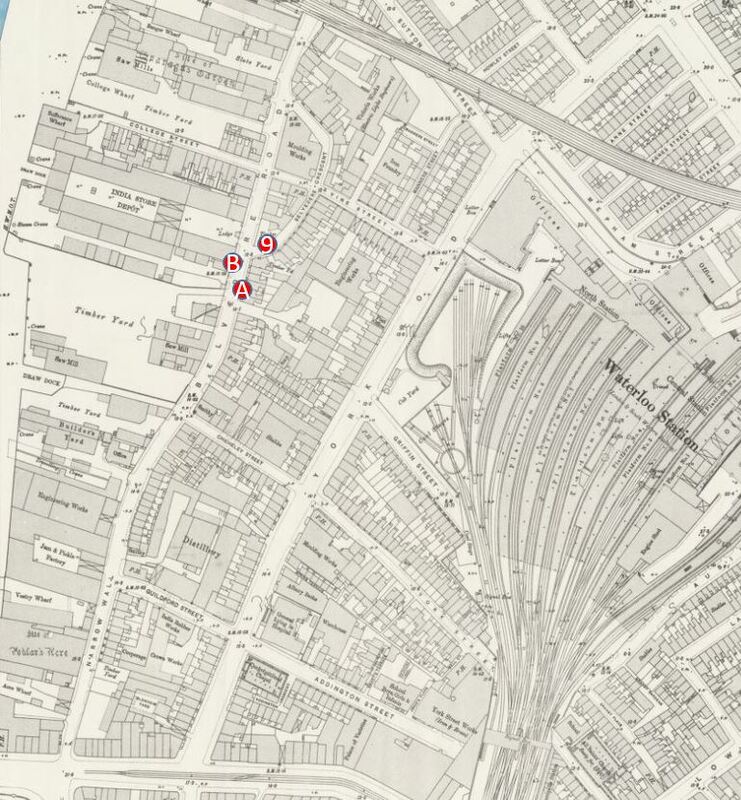 I have marked in numbered red dots the locations from where the photos in today’s post were taken. The first three photos are at point one. 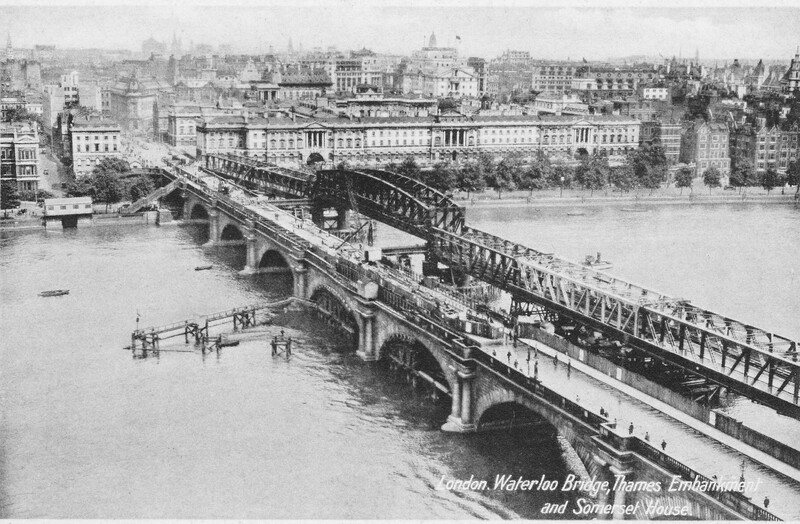 I am not sure whether they were taken from Waterloo Bridge, or from one of the buildings alongside the bridge, however this first photo is looking along Belvedere Road towards the bridge under the rail tracks leading up to Hungerford Bridge. Demolition is already underway. 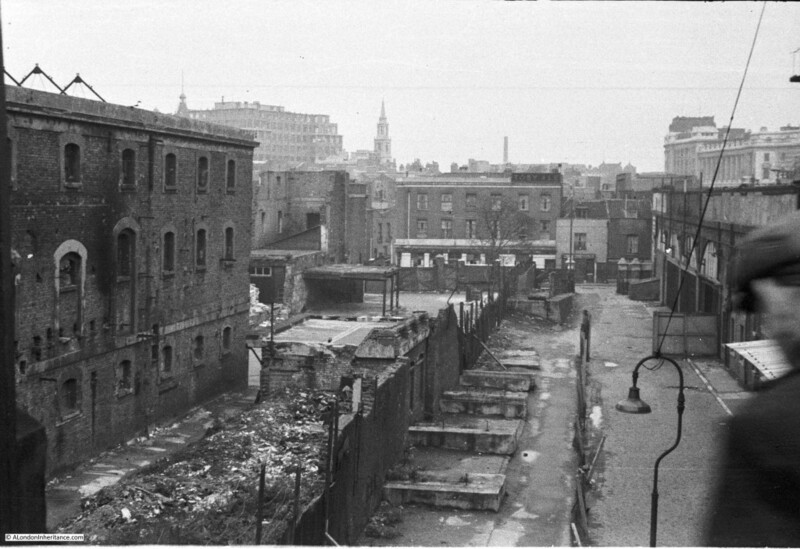 The remains of the entrance to the Lion Brewery can be seen on the right, in front of the railway, and clearance of the houses on the left is well underway. 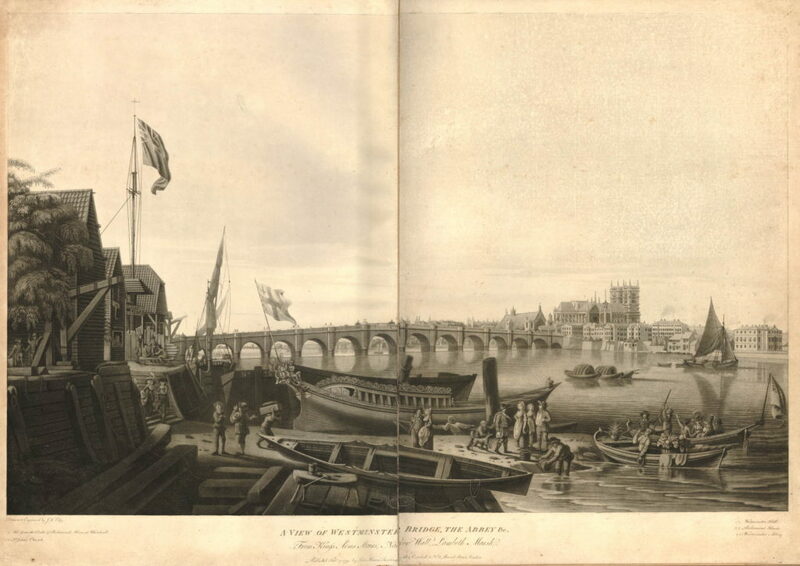 This is roughly the same view today. 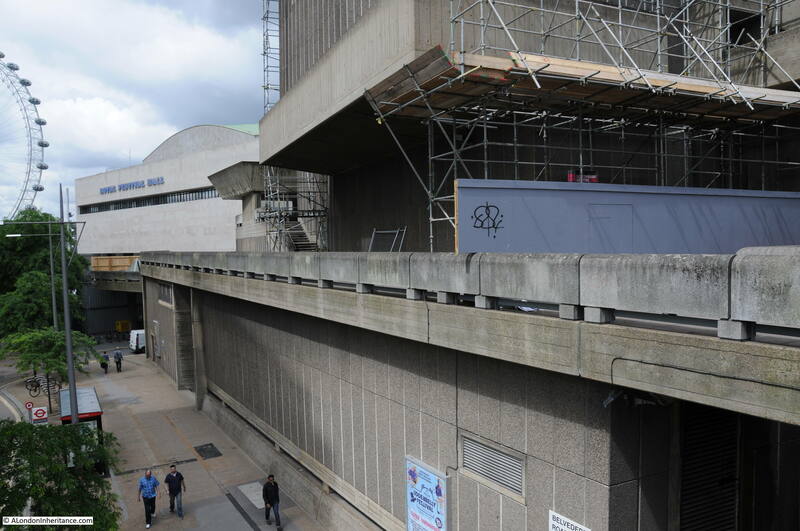 I should have been a bit further to the right, however the buildings of the Hayward Gallery obscure the view. Belvedere Road curves to the left towards where the road passes under the rail tracks – the bridge is obscured by the trees. 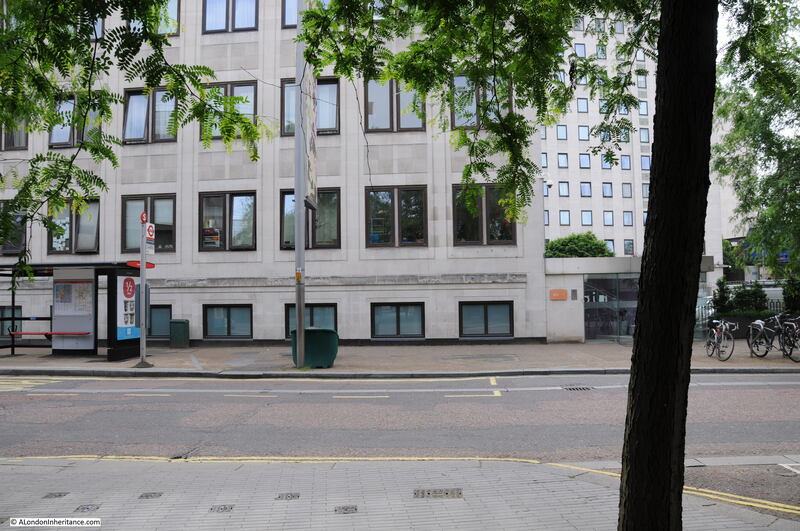 This next photo is from the same spot, but is looking towards the right, towards the Thames. The large building is the Lion Brewery. Note that on the opposite side of the river, construction of the new Ministry Defense Building is well underway. 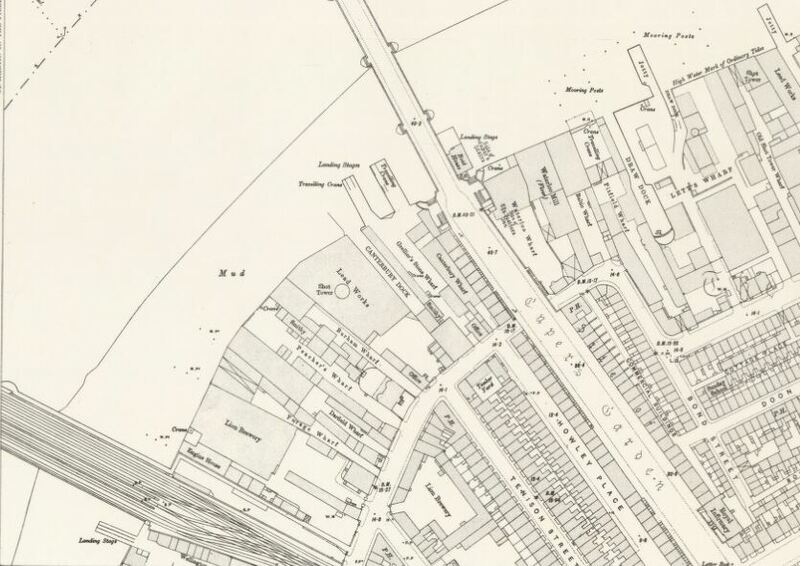 The buildings in the foreground are along Grellier’s Stone Wharf on the 1895 map. 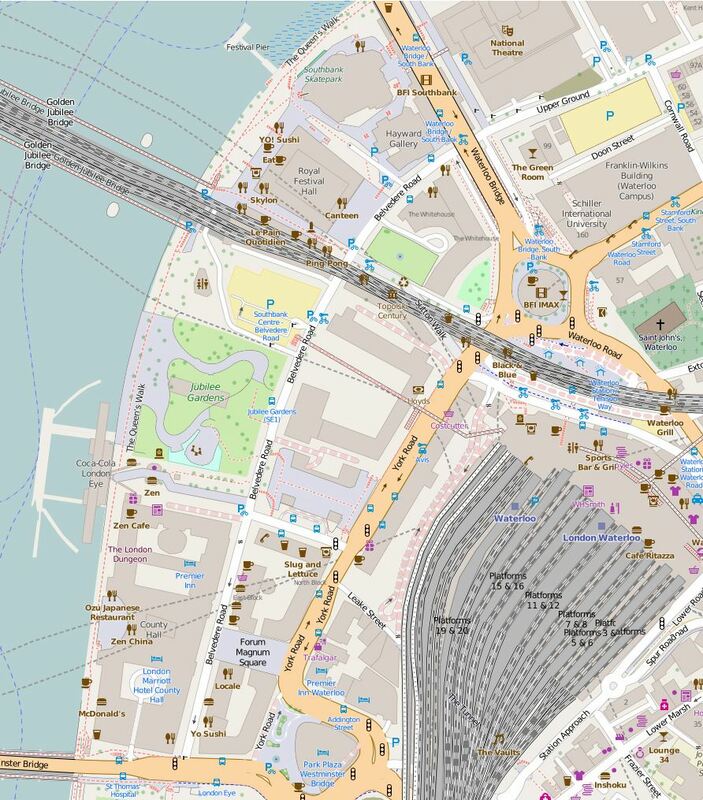 Again, I should have been a bit further towards the right, however the following view from 2016 shows that the entire site of the above photo is now occupied by the Royal Festival Hall, the Hayward Gallery, Queen Elizabeth Hall and the Purcell Room. And the following photo is the last from the bridge and is looking to the left, towards Waterloo Station. 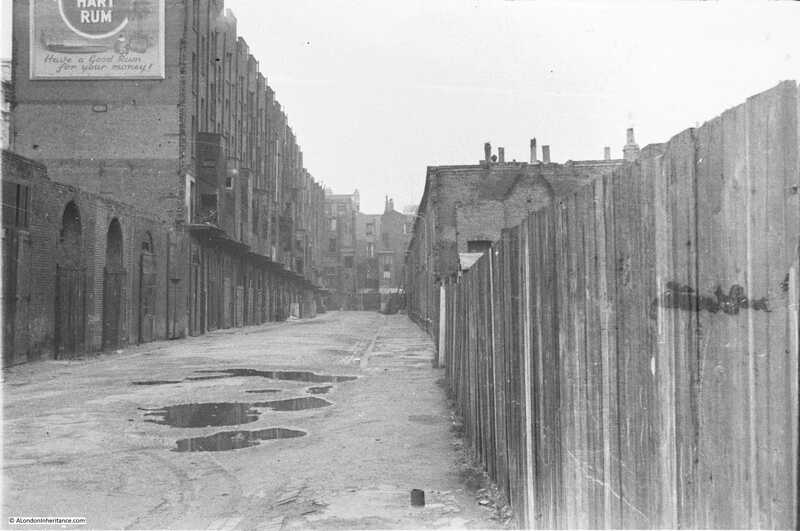 Two streets can be seen, on the left is Howley Place and the street in the middle is Tenison Street. The terrace buildings that lined these streets have been demolished, however those along the boundary of the site remain. On the right are the houses along Sutton Street and the houses in front of Waterloo Station are along York Road. 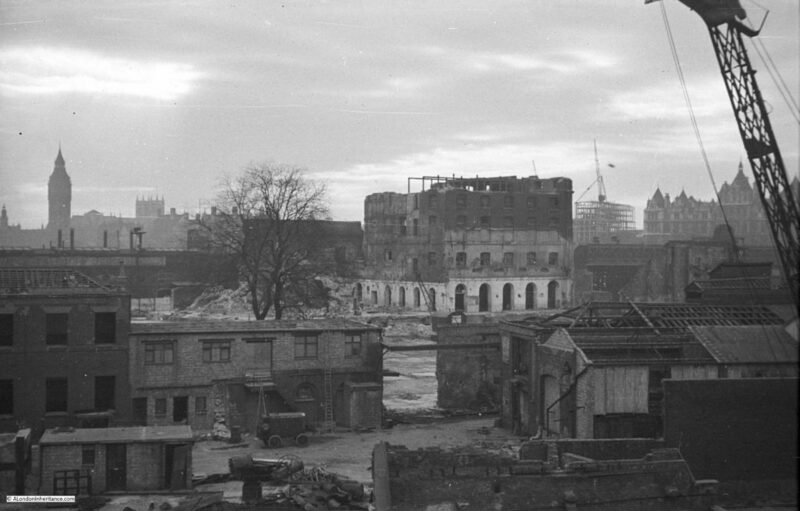 To the right of centre, there is a solitary figure standing on the rubble left by demolition. And the same view today. 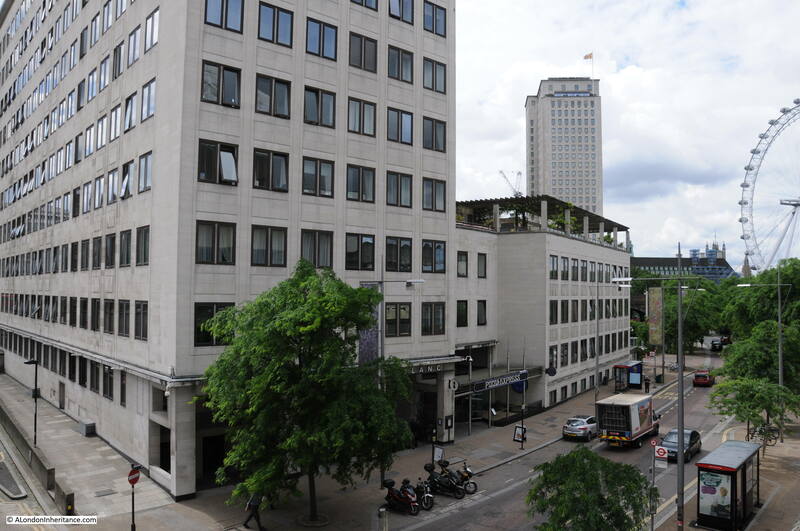 The entire site is now occupied by what was the Downstream Building of the Shell Centre office complex, but is now the Whitehouse Apartments. When I checked on their website, two apartments were for sale, one from just over £1 Million and the second for £2,750,000. A chat box from a representative in Hong Kong popped up whilst looking at the page asking if I needed help which tells you all you need to know about central London”s property market. 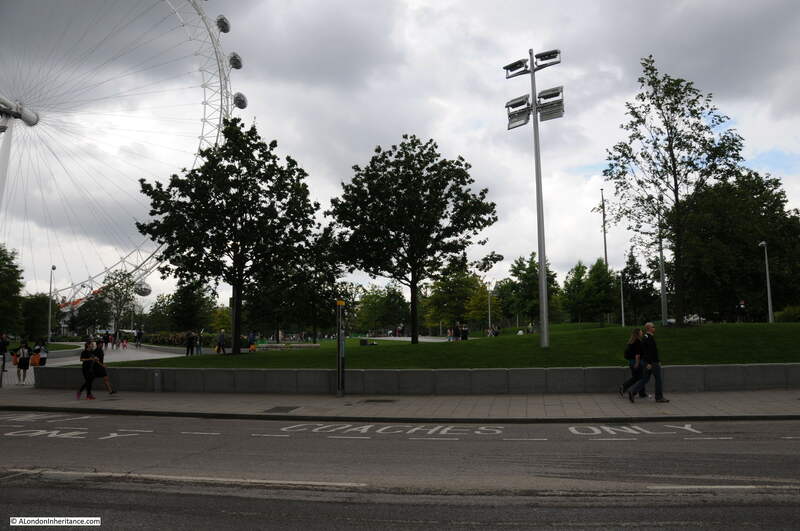 Now walk towards the large roundabout at the southern end of Waterloo Bridge and take an immediate right hand turn down the slip road that takes you down to Belvedere Road. This road does not appear to have a name, but runs along the route what was Howley Place. At the end of the slip road, on reaching Belvedere Road, turn round to look back up the slip road (position 2 on the map). 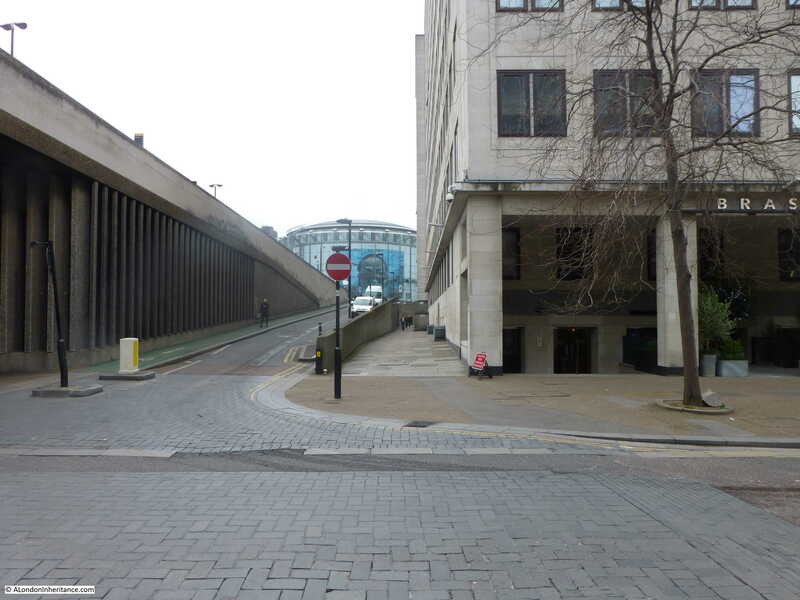 The buildings on the left are the rear of buildings facing onto the approach road to Waterloo Bridge which has since been widened. 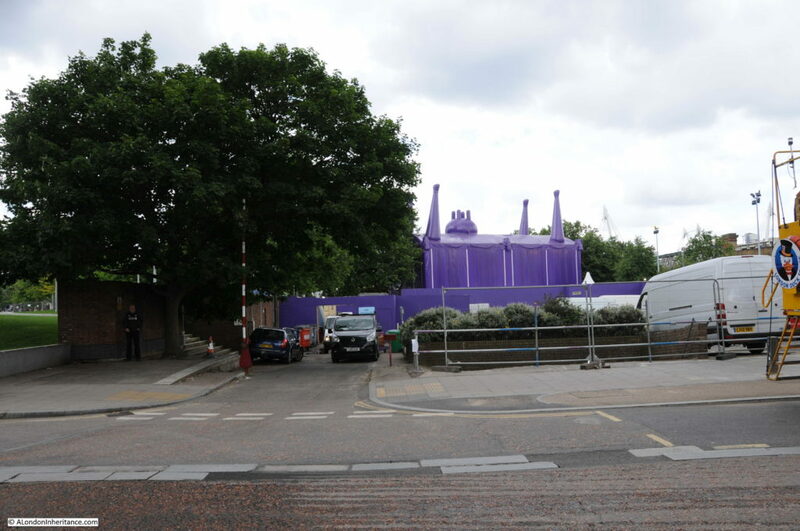 The large roundabout with the glass IMAX cinema in the centre, which can be seen at the end of the current slip road had not been built at the time of these photos, so the houses seen at the end of Howley Place are roughly where the edge of the IMAX is currently located. We can now start walking along Belvedere Road, but only a short distance to point 3 on the map where we can look back at the original bridge which takes the approach road to Waterloo Bridge over Belvedere Road. The entrance to Howley Place is on the right with part of the street name sign visible. 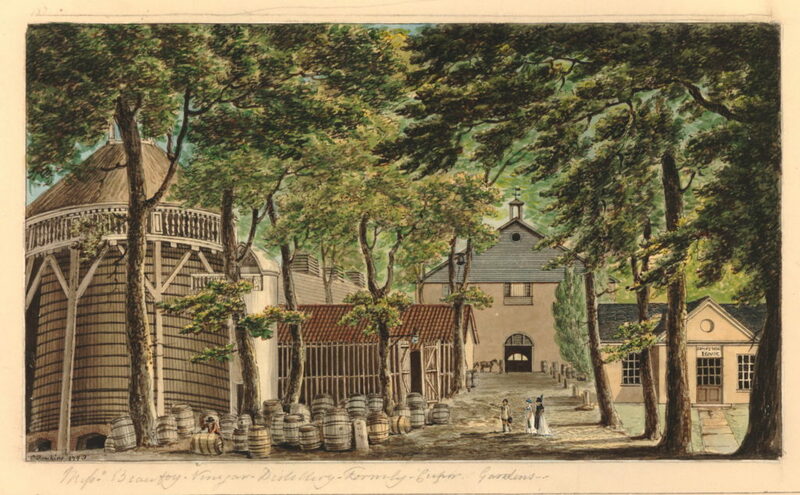 The same scene today. 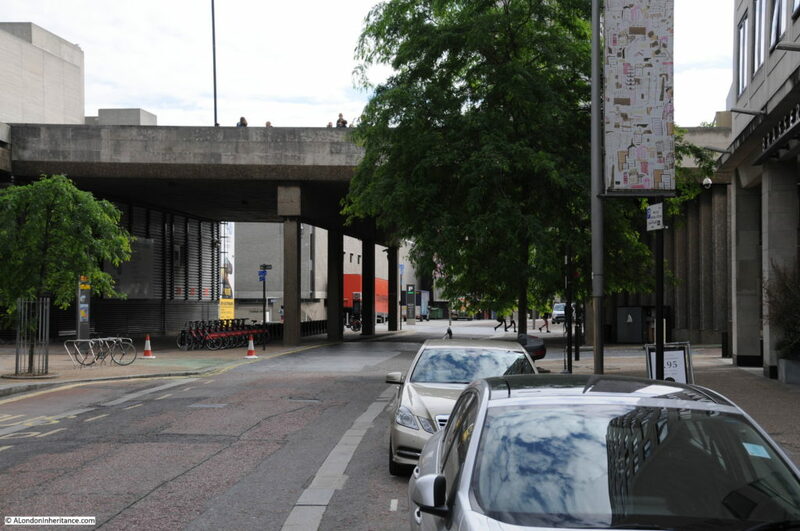 The approach road to Waterloo bridge has been replaced and is wider than in the original photo. Now walk a short distance along to point 4. 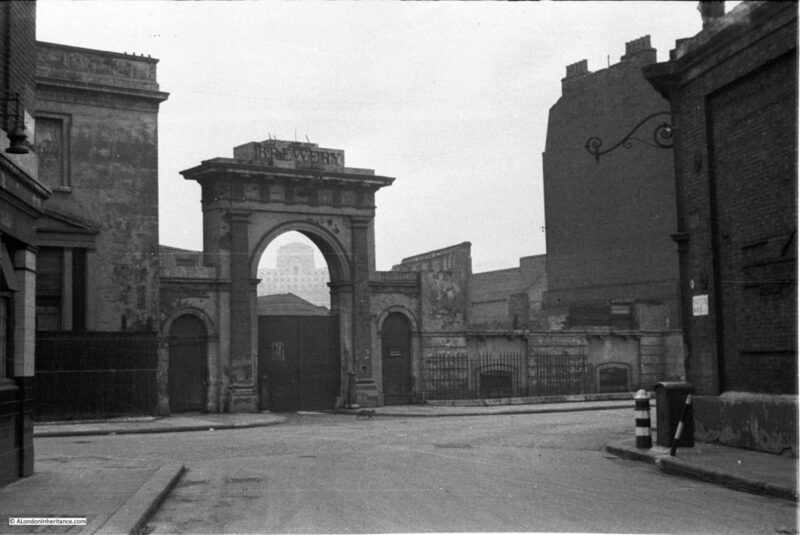 This is the entrance to Tenison Street, looking towards Waterloo Station. And this is roughly from the same position today. 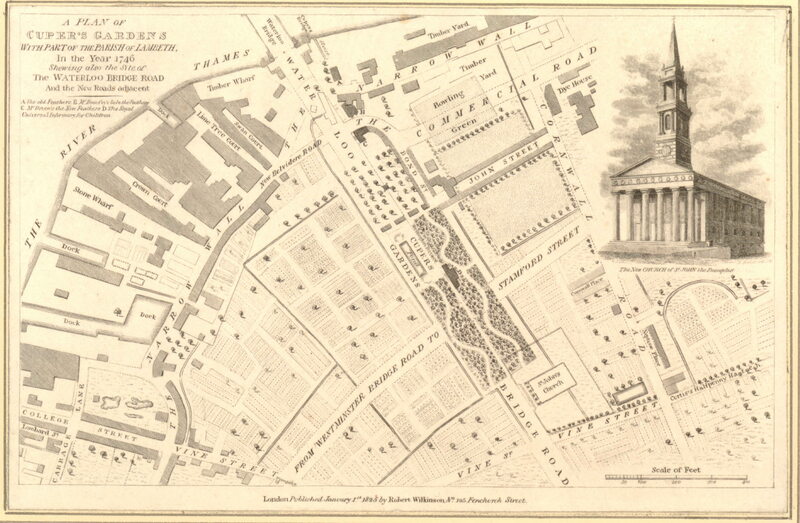 Waterloo Station is behind the buildings of the Whitehouse Apartments. 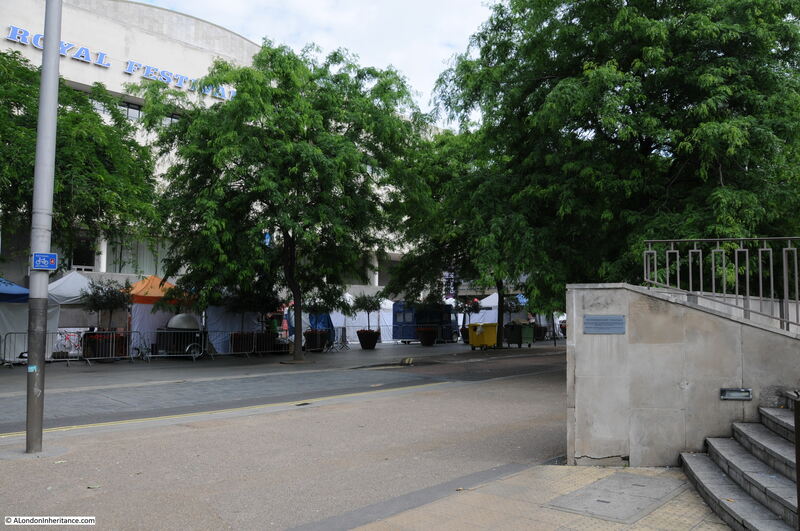 Now walk along to point 5 which is roughly half way along the rear of the Royal Festival Hall, and look towards the building. 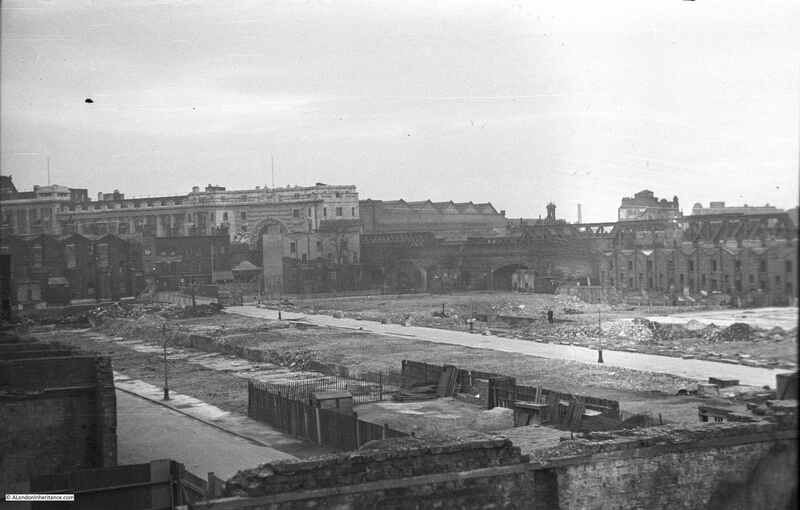 This was the scene at the start of construction of the Royal Festival Hall with the buildings on the north bank of the river clearly visible. There were some fascinating challenges with the construction of the building which I will cover in detail in my next post. 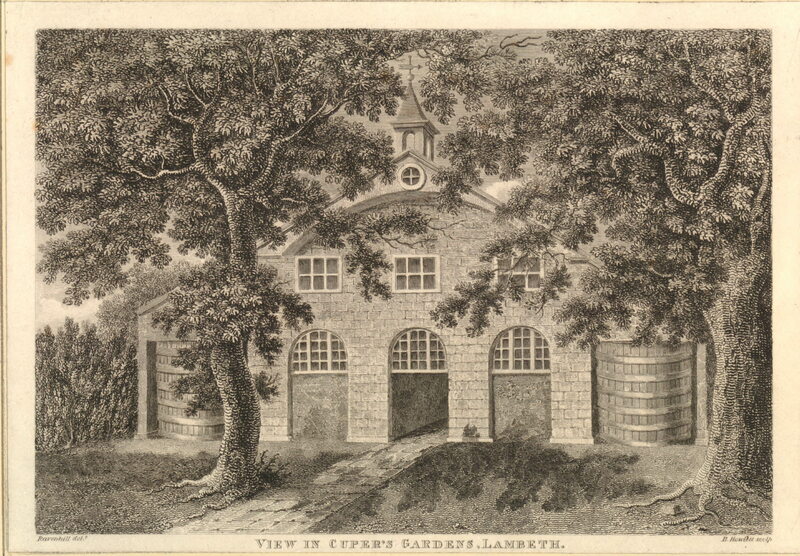 The same scene today, although not much to see with the trees in the foreground and then the rear of the Royal Festival Hall. 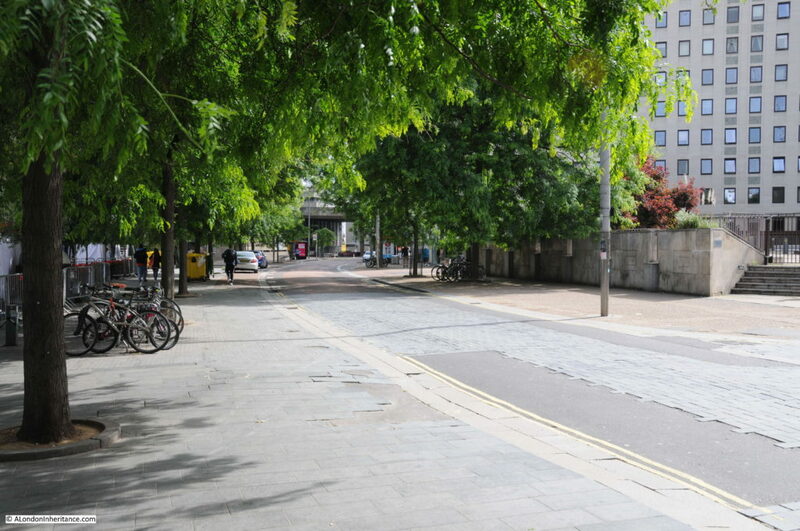 Now walk along to point 6 which is at the end of the original alignment of Sutton Walk which has now been cut short by Concert Hall Approach. 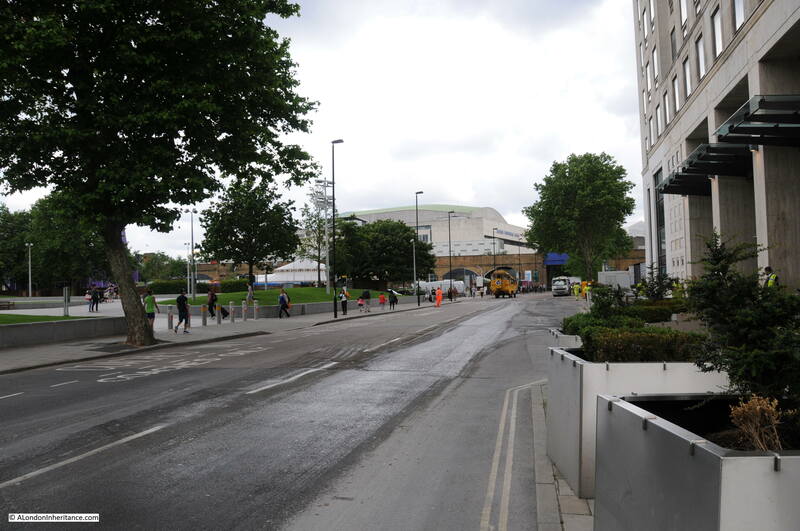 The following photo shows where the original Sutton Walk met Belvedere Road. Looking over the wall surrounding the Whitehouse Apartments it is possible to see the remaining length of Sutton walk where it passes under the railway tracks. Sutton Walk originally continued straight on, to end at the point where this photo was taken. From this point we can walk slightly further along then turn back and look across where Sutton Walk joined Belevdere Road. This is the entrance to the buildings of the Lion Brewery on the south side of Belvedere Road with one of the three lions that were used above brewery entrances and the main brewery building. These buildings were used for stables and also as a warehouse. Look in front of the entrance arch and there are bollards on either side. And they are still here in this later photo following demolition of all the buildings. 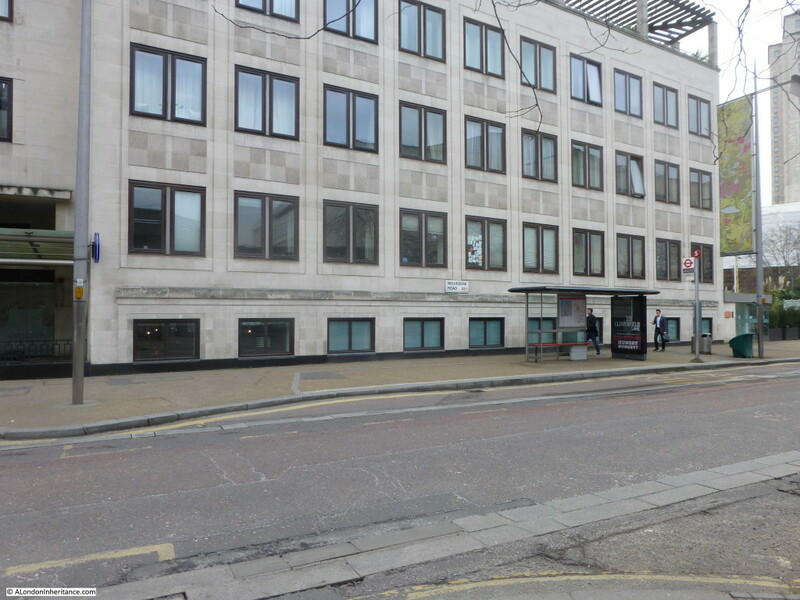 The buildings running along the left are those along the approach to Waterloo Bridge and Howley Place, with the buildings along York Road on the right. 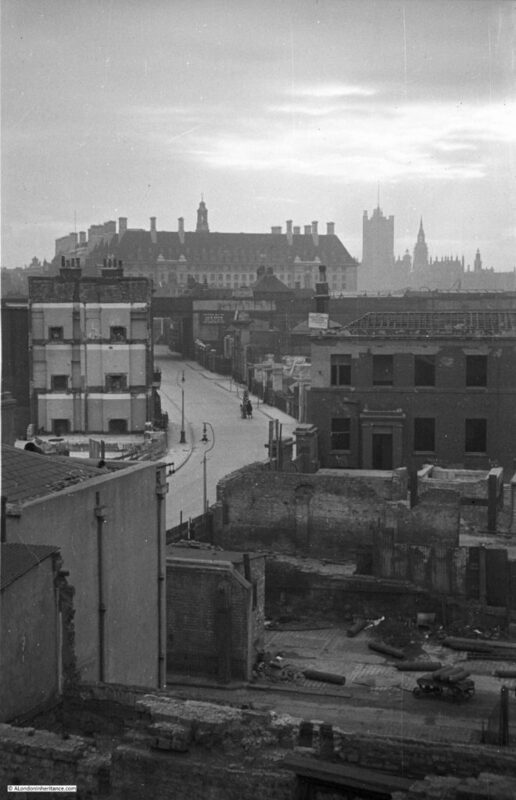 All the buildings in the background are still there, with the Royal Hospital for Children and Women being the second building from the left. This is the same scene today. The following photo was taken from Sutton Walk, looking down towards the entrance to the Lion Brewery from Belvedere Road. There was a lion on top of this arch but this had already been removed. Not easy to replicate this photo as this section of Sutton Walk does not exist, but the following photo is looking towards the area where the entrance to the brewery was located. 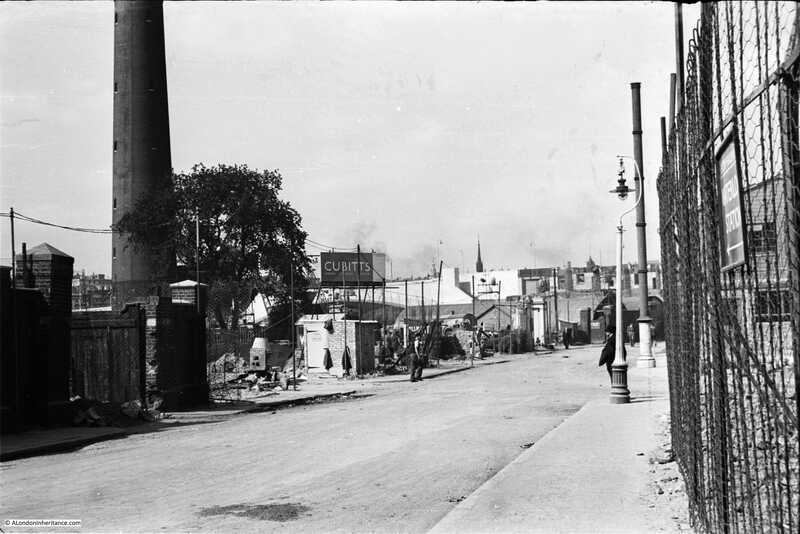 The next photo was also taken from the original Sutton Walk and is looking towards the right with the Shot Tower in the background. 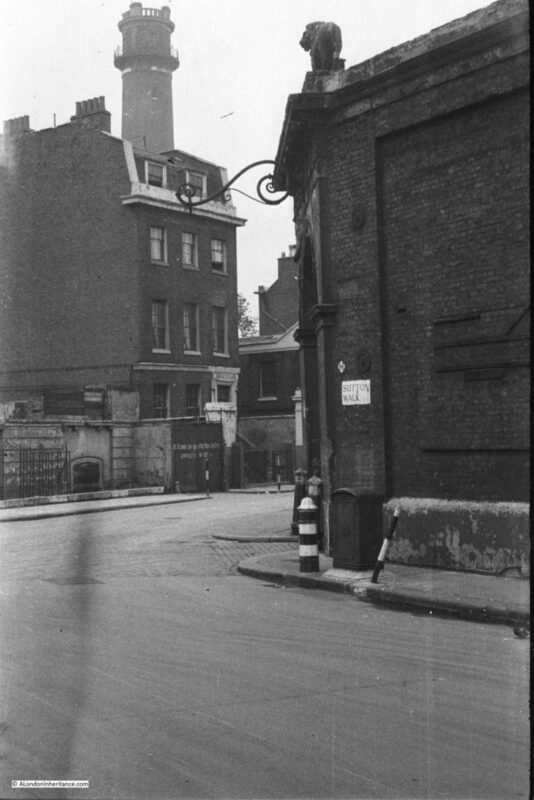 The house in front of the Shot Tower is number 55 Belvedere Road, one of the substantial houses that went up along Belvedere Road in the first decades of the 19th century. “No. 55 was a house of substantial character. Though detached, it was of terrace type without openings in the flank walls. It was in yellow stock brick and its front elevation was three windows wide to each of the ground, first and second floors. The windows had gauged flat arches and all had glazing bars to their double hung sashes. The ground storey was raised above a semi-basement and the entrance, which was reached by a short flight of steps, had an architrave surround with consoles each side designed to support a flat hood. The hood had been removed some time prior to demolition. There was a moulded band at first floor level and a bold parapet cornice above the second floor. Behind the parapet dormer windows were set in a slated mansard roof”. John Fowler annoyed his neighbours when in 1839 he converted a factory between the rear of his house and the river into a lead works. 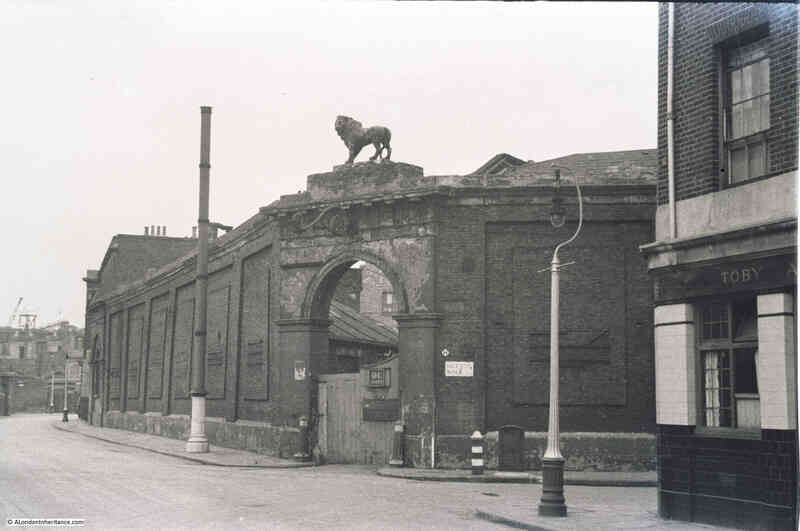 Concern about the works was such that Golding, the owner of the Lion Brewery complained to his landlord, however a report from a Professor of Chemistry into the conditions of the lead works stated that their construction and use was such as to prevent waste, injury to the workmen and annoyance to the neighbourhood. Along with the Lion Brewery, No. 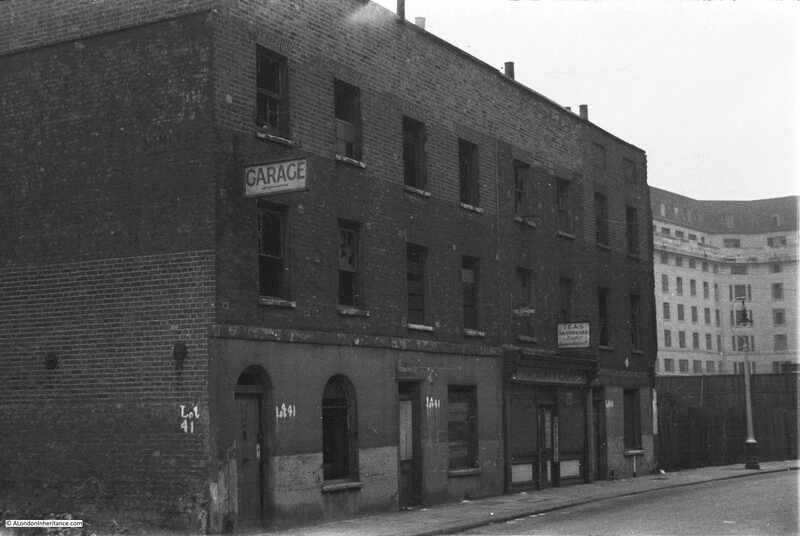 55 was used by the London Waste Paper Company in the 1930s and would be demolished in 1949. Again, not easy to replicate the original view as this part of Sutton Walk does not now exist, however the following photo is as close as I could get. Not much to see due to the trees, but the Royal Festival Hall is in the background. 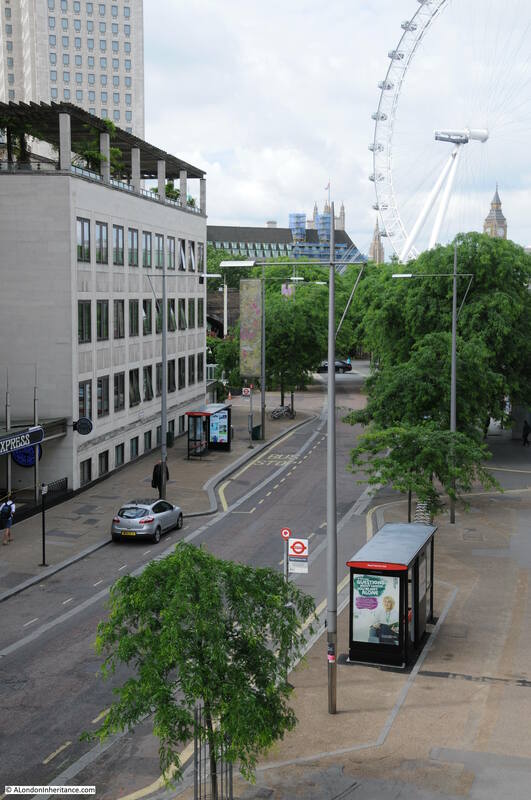 The following photo was taken just before construction of the Royal Festival Hall commenced. 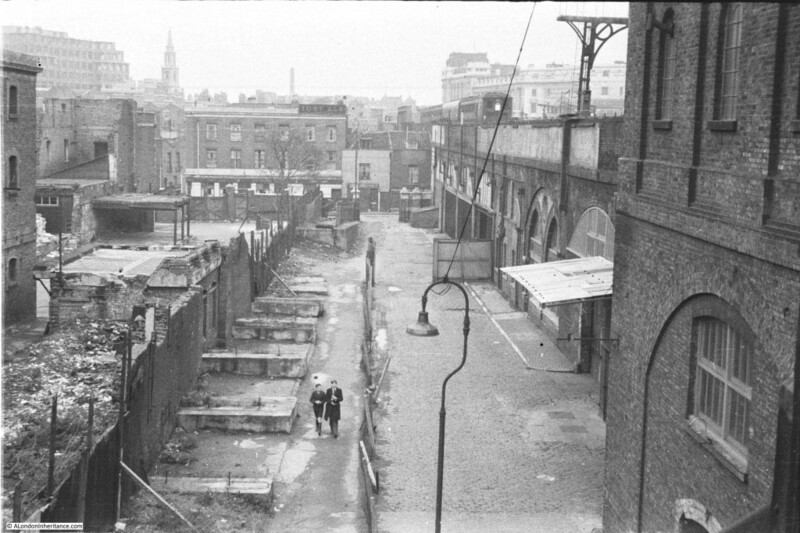 It was taken from where Belvedere Road passes under the rail tracks leading up to Hungerford Bridge and is looking back down Belvedere Road towards Waterloo Bridge which can just be seen behind the Cubitts sign at the centre left. Sutton Walk is just behind the lamppost running to the right. 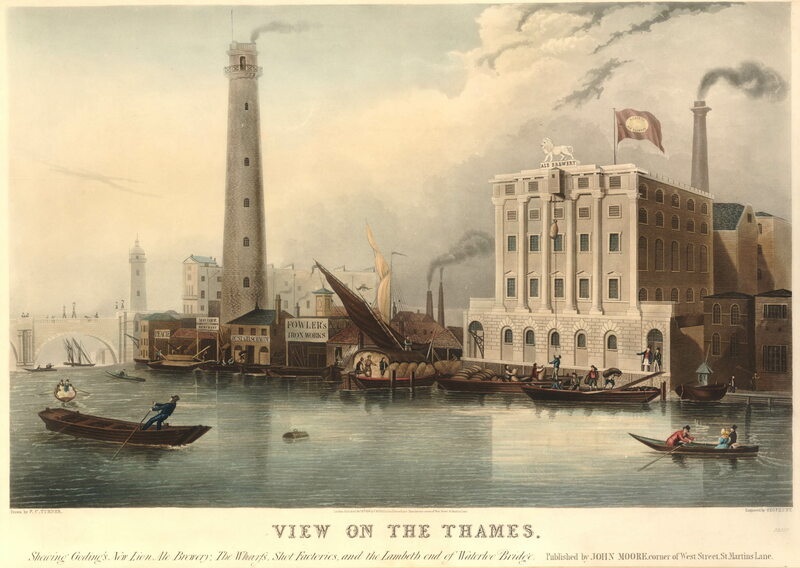 The Shot Tower is on the left. Note the “stink pipe” behind the lamppost (not sure if that is the correct name, but that is what we always called them). This is the view some weeks later, taken from the opposite side of the road. The “stink pipe” in the centre of the photo is the same as in the above photo. 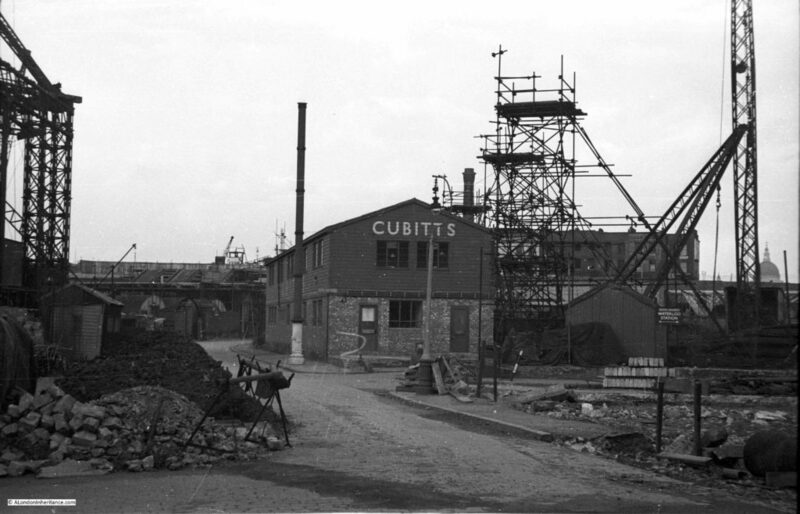 The Cubitts site office is on the former location of the Lion Brewery Stable and Warehouse. 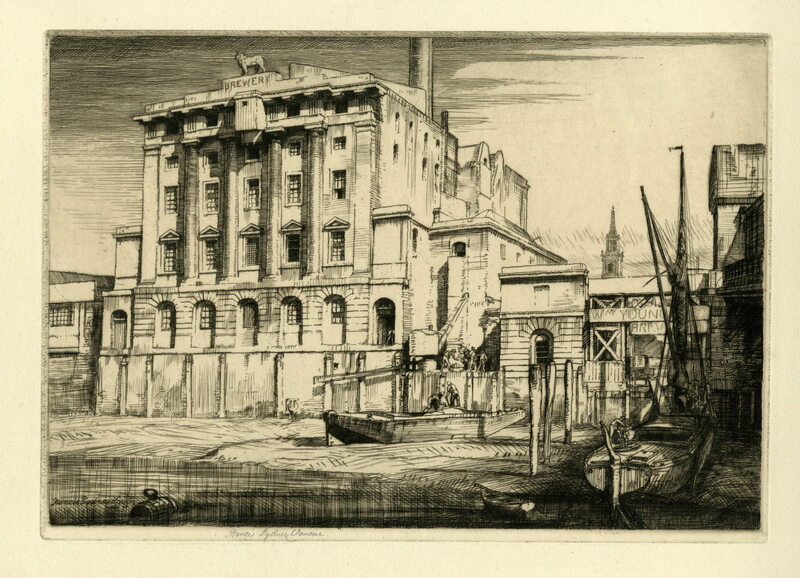 On the left is one of the three legs of the derrick supporting the crane that was used to build the Royal Festival Hall. Cubitts were the main building contractors for the Royal Festival Hall, and the use of an onsite site office seems to have been unique for the time as it helped with the rapid construction of the building with drawings been passed from the office to the builders as the drawings were being completed – such was the pace with which the Royal Festival Hall was built. This is the same view today as the above photo taken at point 8 on the map. 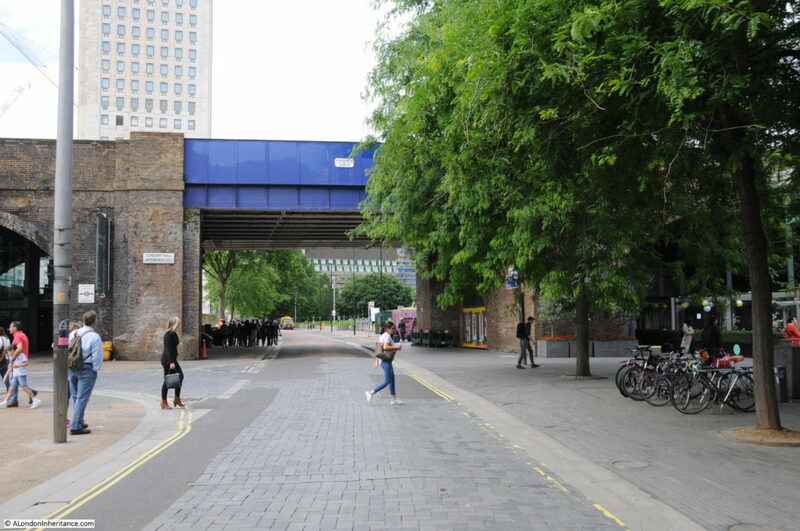 Now it is time to walk through to the other half of the area which is split in two by the rail tracks running up to Hungerford Bridge. This brick-built viaduct is the only remaining construction from the pre-war period and provides a perfect reference point to locate the key places on the 19th century Ordnance Survey maps. The viaduct has retained the original position of Belvedere Road and by retaining the short length of Sutton Walk that runs from York Road to the new Concert Hall Approach, allows the alignment to be confirmed to Belvedere Road and therefore the position of the entrances to the Lion Brewery. This is where Belvedere Road passes underneath the rail tracks. The white plaque on the blue bridge reads “W. 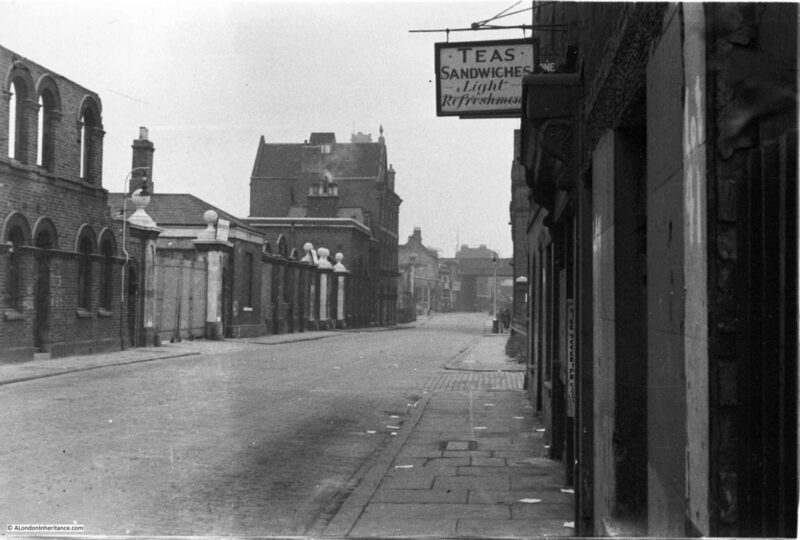 Richards & Son – 1900 – Leicester”. 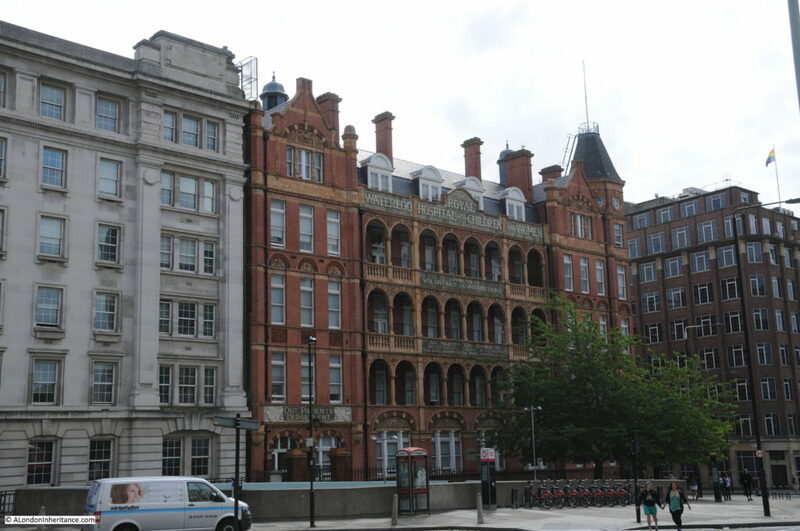 1900 is not old by London standards, but it is the oldest construction in this part of London. 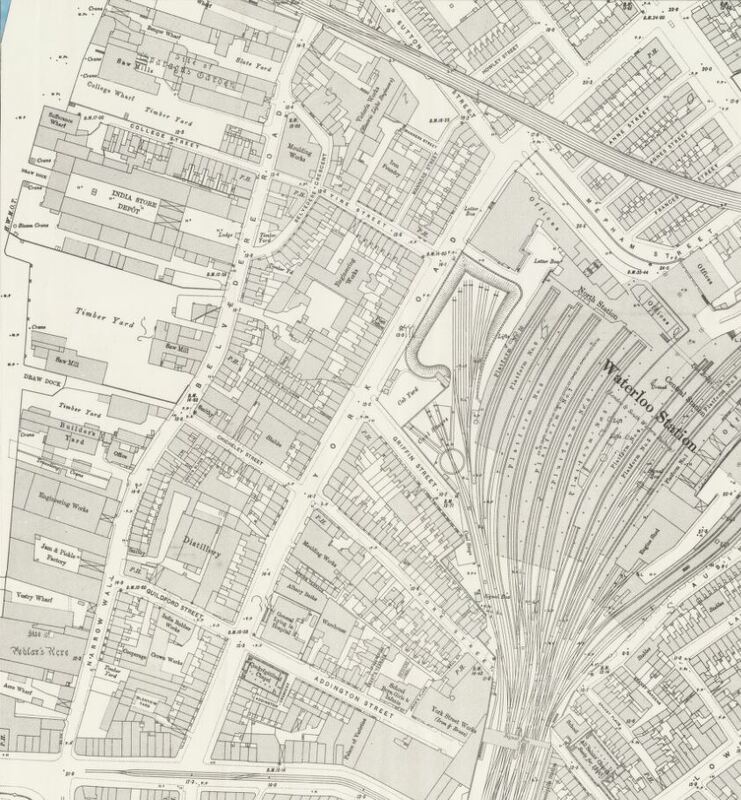 The following map shows the area we are now in, having passed under the rail tracks at the top and continuing along Belvedere Road. A short distance along Belvedere Road, we can look towards the river and this is the approximate position of College Street leading down to Kings Arms Stairs. 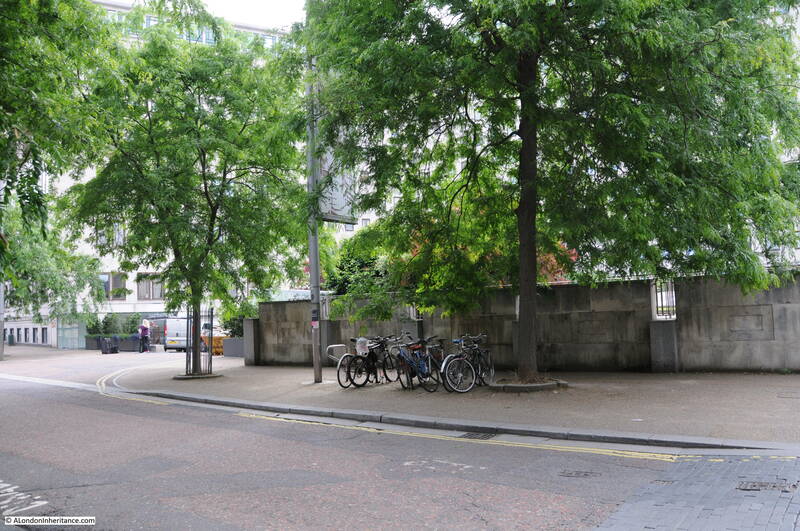 There is an entrance to the car park here – would be interesting to believe that this is a remaining part of College Street. The next photo shows the India Stores Depot as it was prior to demolition. The photo was taken from point 9 in the above map, a short distance in Belvedere Crescent, the kerb of which can be seen in the lower left corner. The road running left to right in front of the gates is Belvedere Road. 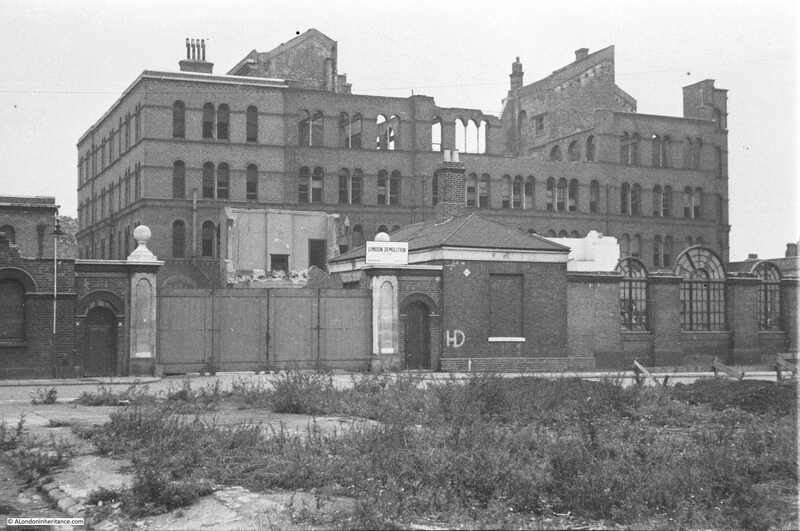 The India Stores Depot suffered badly from bombing during the war with the majority being left as a shell of a building. 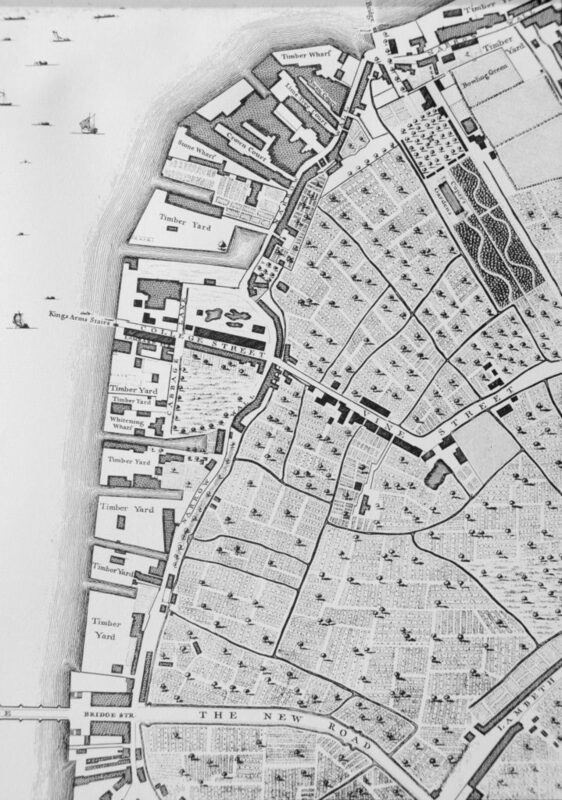 I could not get to the same position as the original Belvedere Crescent is under the Shell Centre complex. 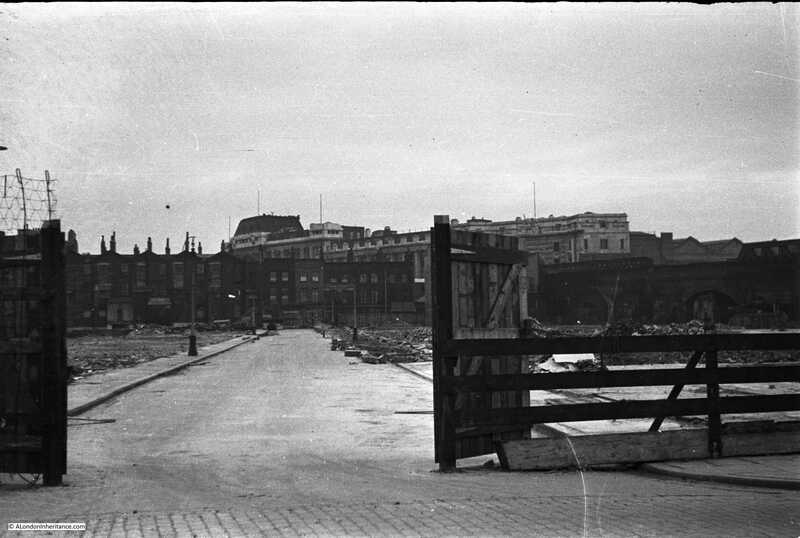 The following photo was taken from in front of Shell Centre looking across Belvedere Road to where the India Stores Depot were located, on the current Jubilee Gardens. 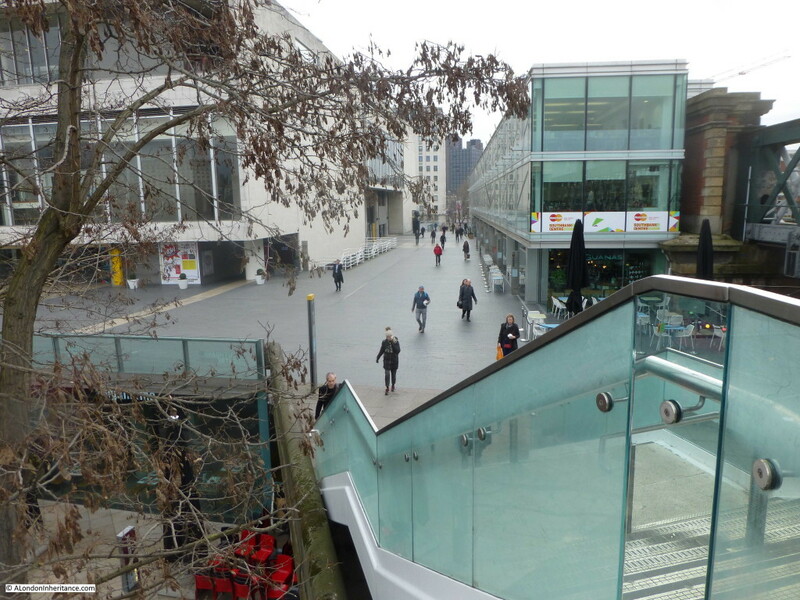 The Jubilee Gardens have been through a number of changes. 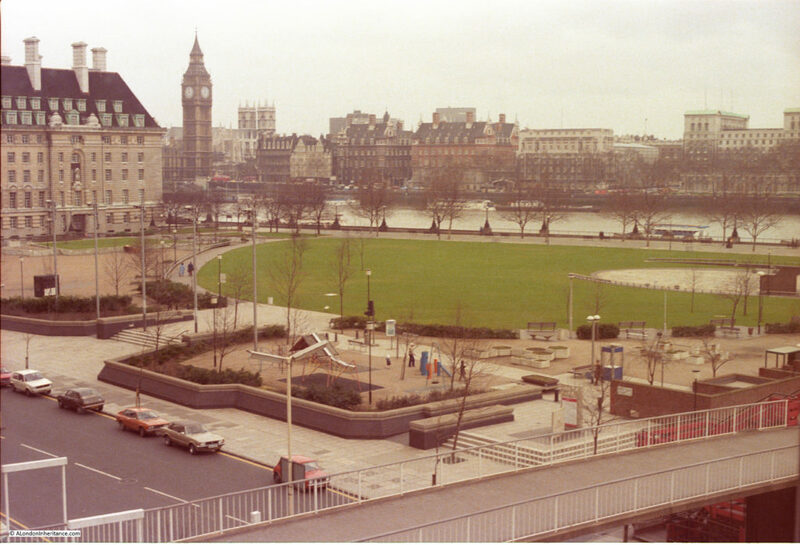 I took the following photo in the mid 1980s of a much quieter Jubilee Gardens than today. The central area was later used as a construction site for the Jubilee Line extension with a large access shaft in the middle of the grassed area. 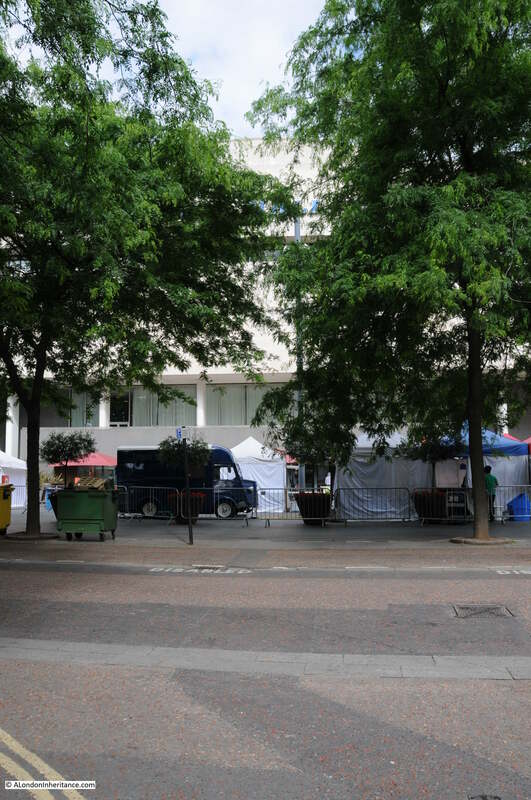 The grass would be packed during summer lunchtimes with office workers from the Great London Council and Shell Centre. 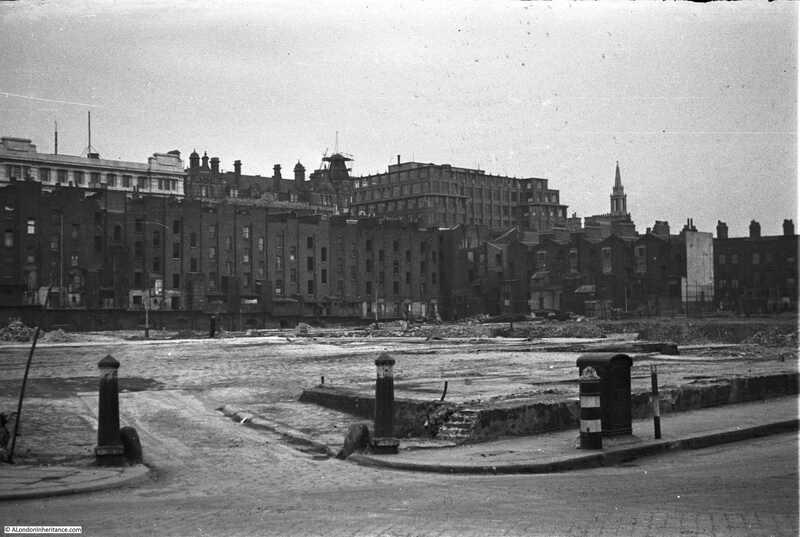 The buildings in the following photo were along Belvedere Road, roughly at point A, which today is the location of the Shell Centre tower building. Another view with the buildings in the above photo now on the right of the photo below. The cafe in the photos above and below was called “The County Cafe” – I assume a reference to County Hall, just a bit further along Belvedere Road. It is small buildings such as these where the signs of the business still remain that bring home that this was once a busy area full of industry, cafes, shops and residents. 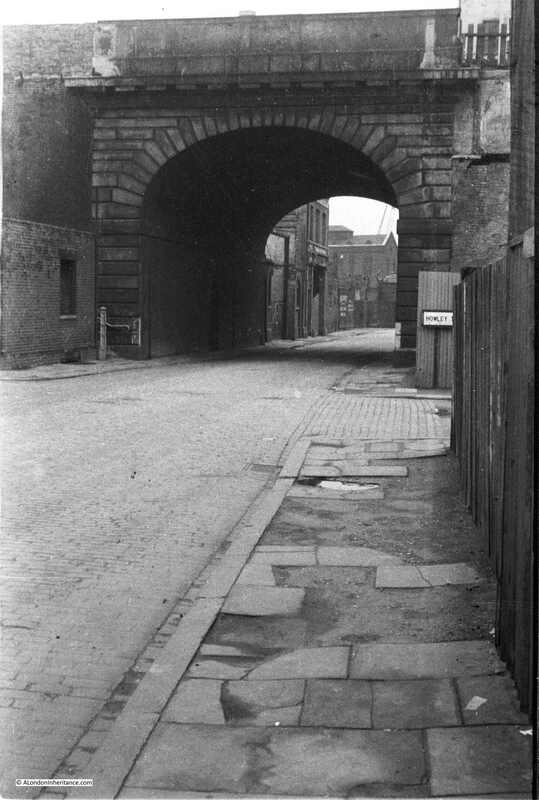 The bridge carrying the rail tracks over Belvedere Road can be seen at the far end of the road and the entrance to the India Stores Deport is on the left. 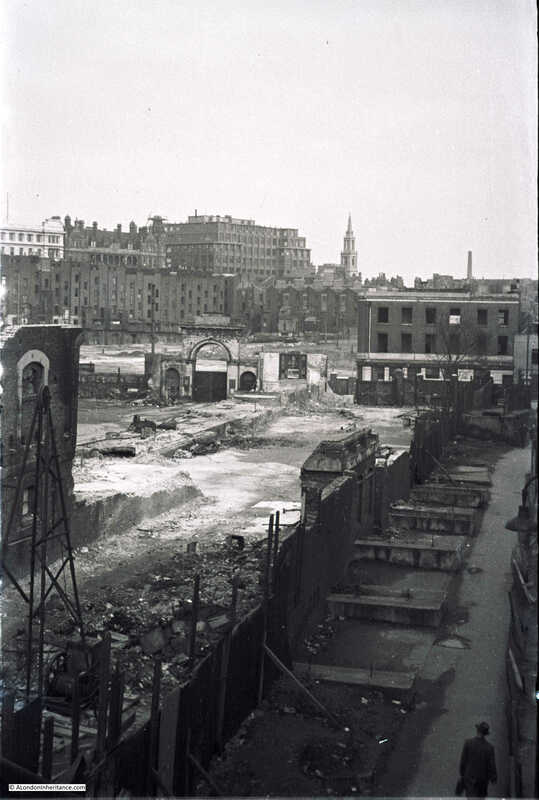 This is same scene today with the main tower building of the Shell Centre complex on the immediate right, occupying the space where the County Cafe once stood. 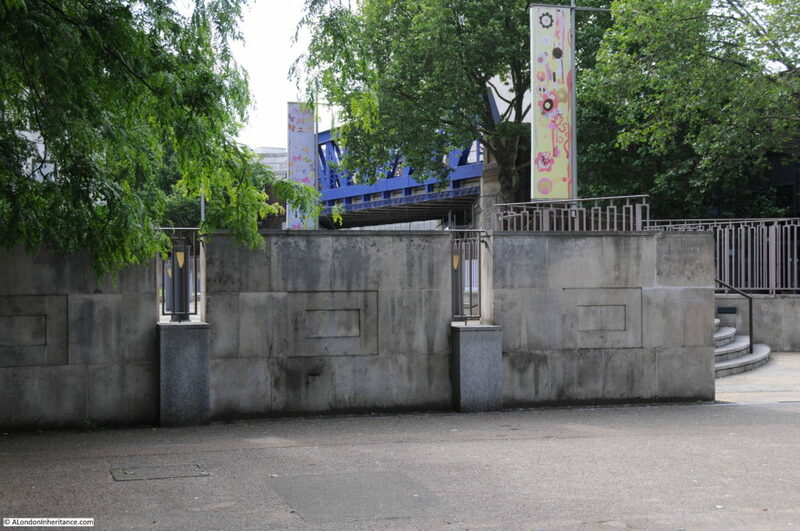 The blue bridge at the end of Belvedere Road is in the same position as the photo above. 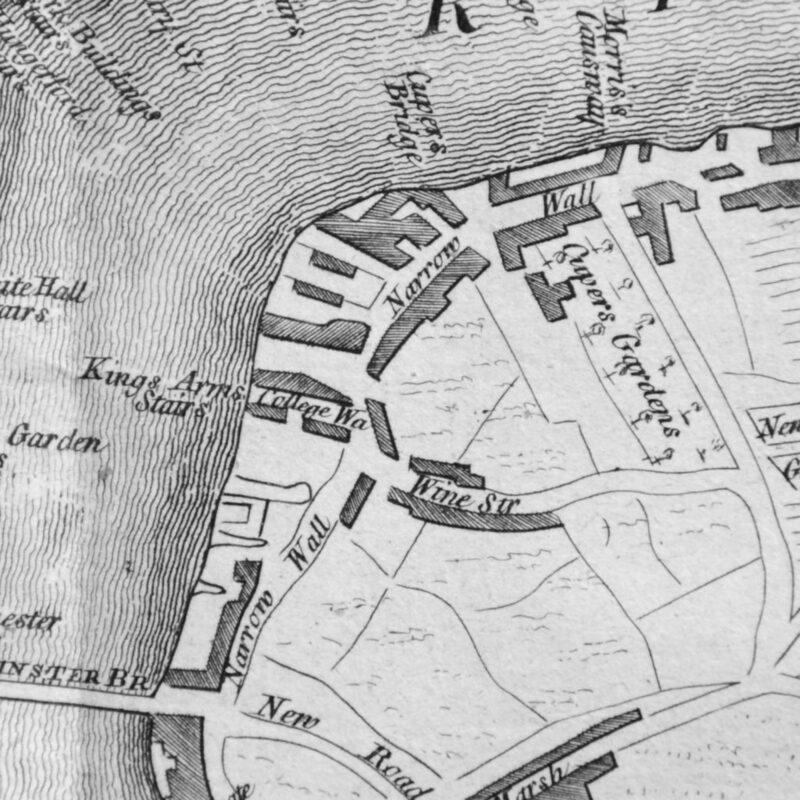 Many of the streets in this area were named after Archbishops of Canterbury. 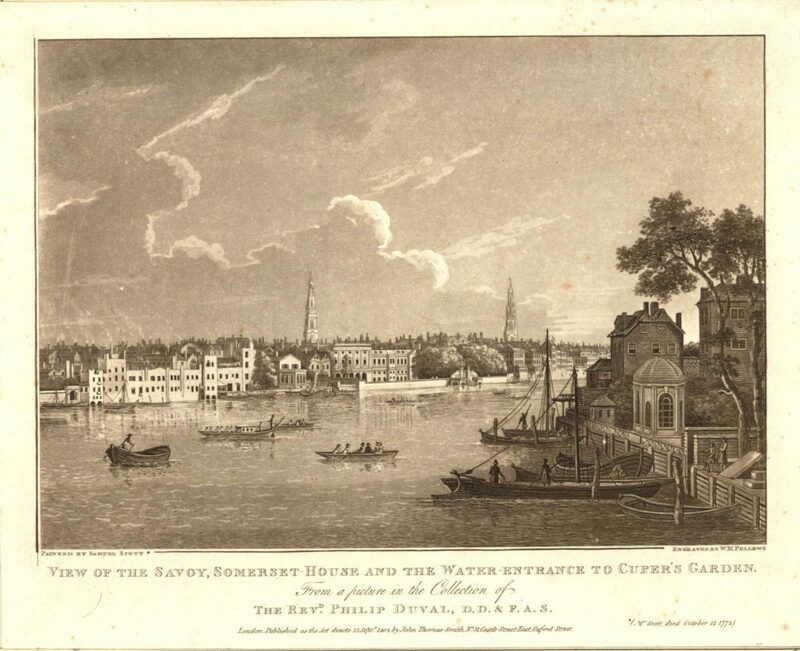 Sutton Walk was named after Charles Manners-Sutton (Archbishop between 1805 and 1828). 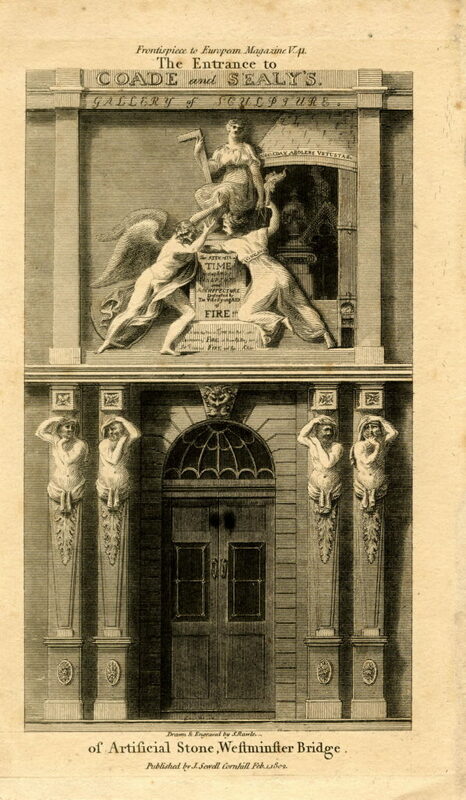 Tenison Street was named after Thomas Tenison (Archbishop from 1694 to 1715) and Chicheley Street. was named after Henry Chichele (Archbishop from 1414 to 1443). The naming of streets after Archbishops extended beyond the area between York Road and Belvedere Road. 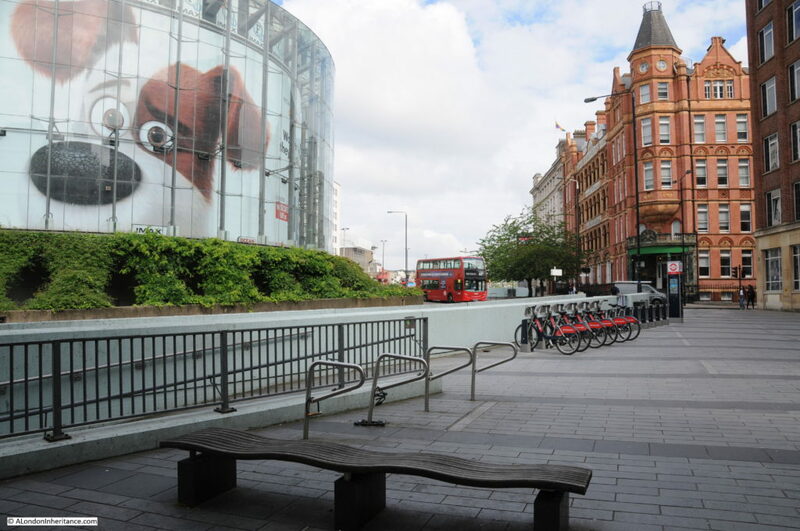 The street in front of Waterloo Station, Mepham Street was named after Simon Mepeham, Archbishop of Canterbury from 1329 to 1333). From outside Shell Centre, we can turn towards County Hall and walk to the junction of Belvedere Road and Chicheley Street. 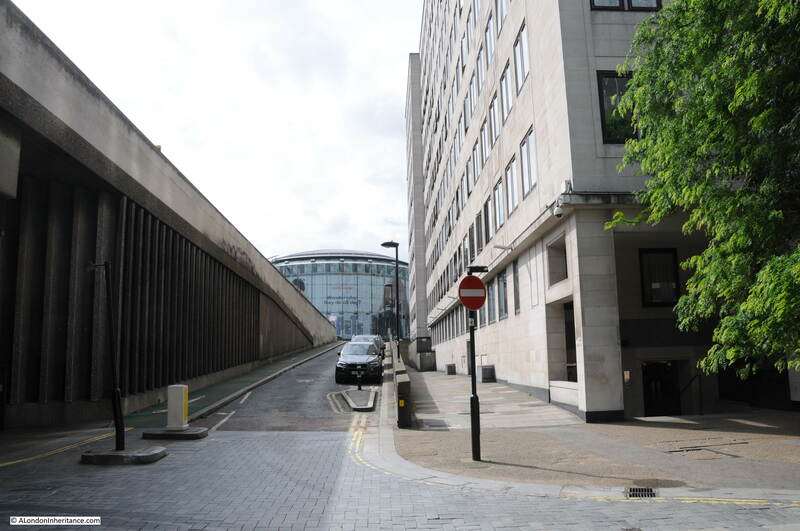 Instead of turning up Chicheley Street we can still walk up towards Westminster Bridge through the County Hall complex. 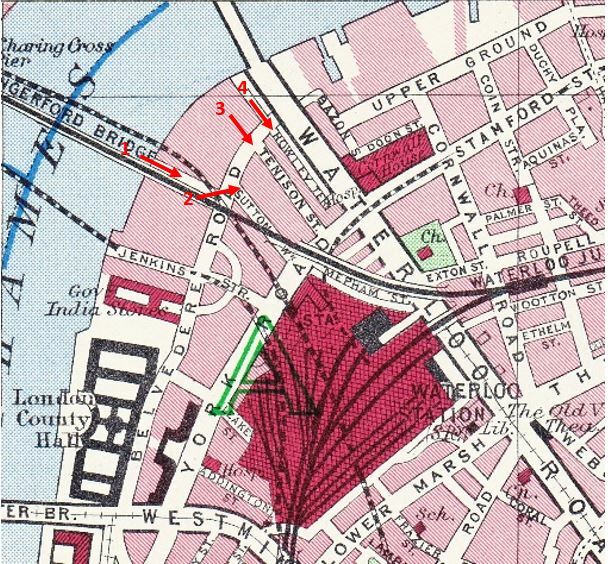 Today this is marked on maps as Belvedere Road, but on the 1895 Ordnance Survey maps, Belvedere Road ended at the Chicheley Street junction and this stretch of road up to Westminster Bridge was still called Narrow Wall, the last remaining use of this original name and reference to the earthen bank that separated the Thames from the rest of Lambeth marshes. 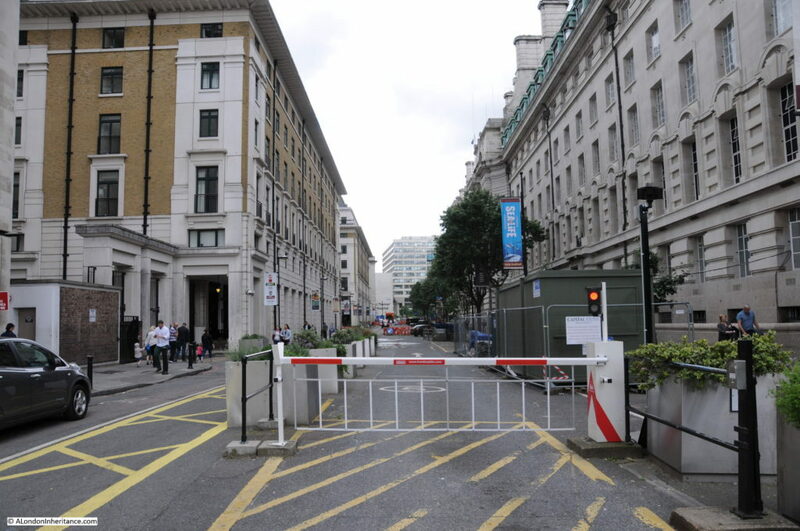 The following photo shows the Belvedere Road / Narrow Wall passing through the County Hall buildings, I will continue on from the end of this road in my next post. 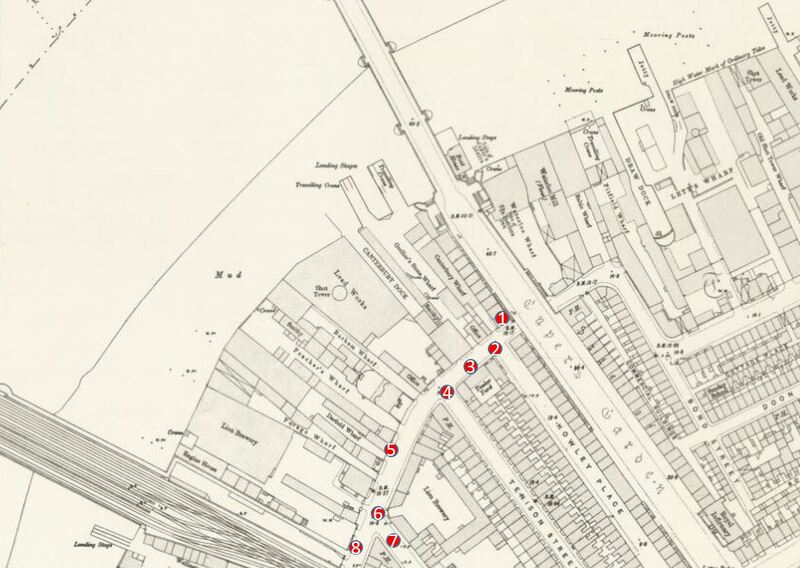 We have now walked the length of Belvedere Road and traced the pre-1951 streets and buildings where much of the original street plan still remained. Although Belvedere Road has been straightened and widened over the years, we have walked the route of the original earthen wall. 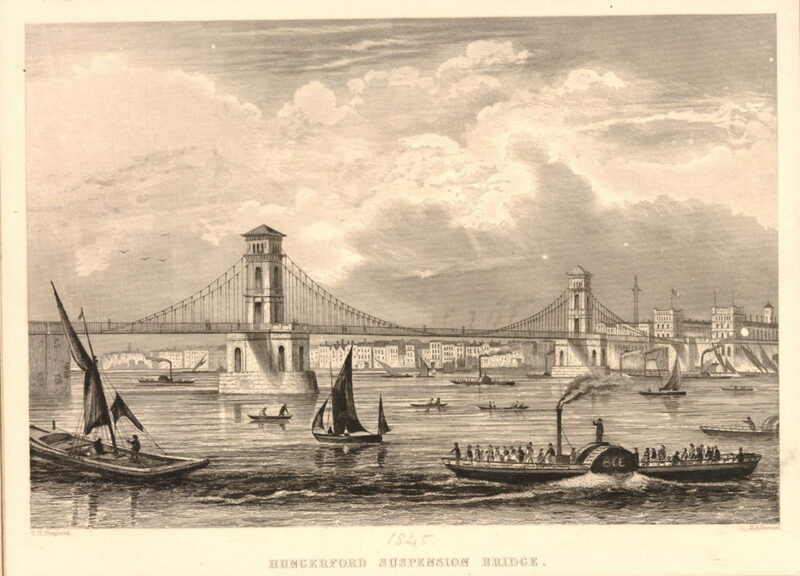 In my next post we will walk along the north bank of the river before returning alongside Hungerford Bridge to look at the building of the Royal Festival Hall. 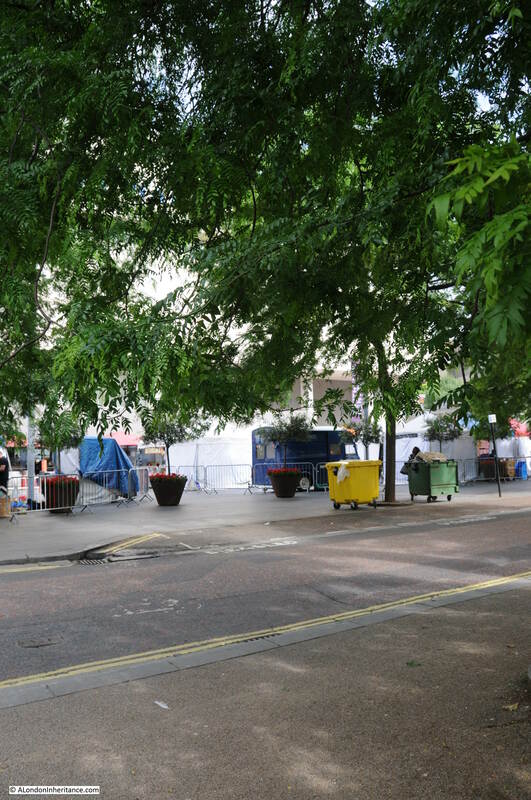 This entry was posted in London Streets and tagged Belvedere Road, Hungerford Bridge, Lion Brewery, Shell Centre, Waterloo Bridge on July 4, 2016 by admin.